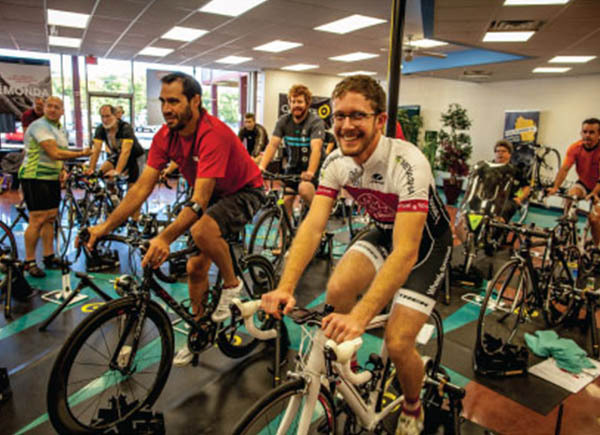 Join the Wheel & Sprocket Training Hub – an indoor Cycling program designed for riders of all abilities designed by Tri Faster Head Coach, Lauren Jensen and by the Innovator of the Smart Hearts System, Sally Edwards. Join our riding community where no one gets “dropped”. 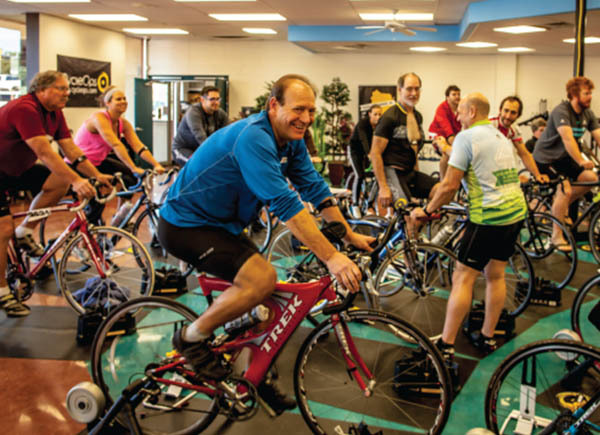 Classes are modified for every type of cyclist, from those who are just getting started to those with podium aspirations. Recumbents and Trikes WELCOMED! Sign up for a progressive 10-week session or drop-in on YOUR schedule to bike workouts that transform your body, mind, and soul. Improve your strength, power, and technique from our coaches following the Smart Heart System and using state of the art technology that allows you to ride at YOUR fitness level. 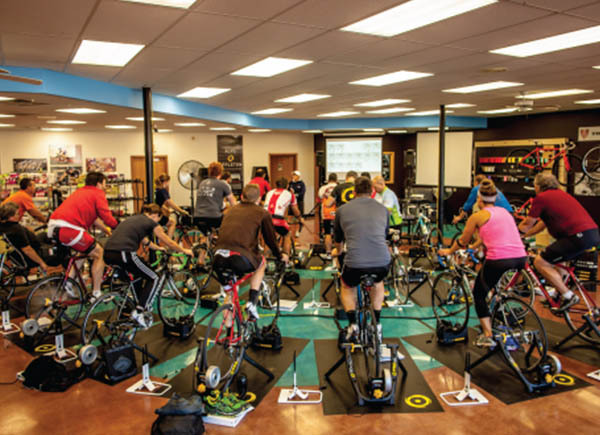 Wheel & Sprocket Training Hub classes are available at all Wheel & Sprocket locations.